Who could possibly want to play Persona 5 again? I love the game, don't get me wrong, but at a minimum of 100 hours to complete it (short of skipping through the story... and why would you do that in a JRPG? ), it's such a slog that it's like reading War and Peace more than once. For most of us, even if we acknowledge that it's a great book, it's just not worth the effort. Anyhow, Atlus has announced Persona 5: The Royal. And it might just be a different game completely. A teaser trailer makes it quite clear that there's a new character involved. Whether this means an extra scenario for the base Persona 5 (because that's just what that game needed - even more stuff), or some kind of side-game or sequel, remains anyone's guess. We'll know more when Atlus has the chance to share more information at a special Persona music concert, which is happening in Japan on April 24. Get ready for some undead goreporn. Noob Saibot is one of the classic Mortal Kombat characters, having been around since the second game in the series. He's often been an absolutely pointless character - a clone of Sub-Zero with a black costume, but slowly over the years he's been given his own personality, and now he's popular in his own right. He's the original Sub-Zero, apparently, before being killed by Scorpion, then resurrected as a very angry revenant, devoid of any empathy or morals. As is usual with these MKXI character reveals, Warner Bros has released a trailer, showing off some of Noob's bone-crunching moves, as well as one of his fatalities. Perhaps the most violent, gory, and brutal fatality to date, in fact. This game's out in less than a month, and is sure to turn heads once it lands. Celebrate! Crystar is coming out west! I have a love affair with FuRyu. The publisher behind just brilliant titles as The Caligula Effect and Lost Dimension in Japan, its games have always had an uncertain future in the west, as the company works with different localisers and publishers each time, and until something is announced, we can't assume that any of its games are getting localised. Thankfully Crystar, a brilliant-looking JRPG that features crying as a core gameplay mechanic, is one of the lucky games that will cross the ditch. FuRyu is working with Spike Chunsoft on this one, and the game will release on PlayStation 4 and PC on August 27. A snippet from the game's concept: A fantasy story where the protagonist cries and fights in the afterworld. Driven by the concept of Catharsis: the purification of the oppressed mind through releasing pent-up emotions. A tearful, emotional journey with an invaluable, one-of-a-kind story. If this game can be half as smart as some of FuRyu's other high-minded titles, then it will be essential stuff indeed. 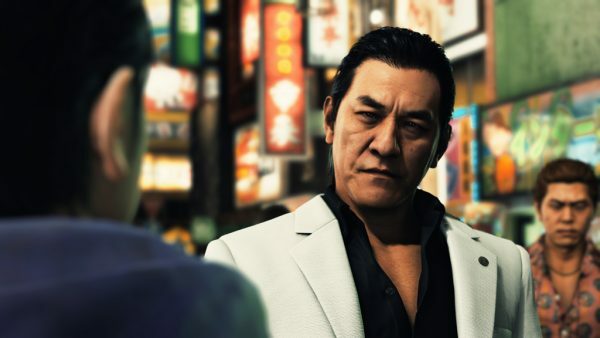 If you haven't been following closely, there's been some incredible drama surrounding the upcoming new game from the Yakuza development team at SEGA - Judgement. The game, which features fully facial-captured actors faces was thrown into disarray when one of the actors, Taki Pierre, was arrested for cocaine use in Japan. The Japanese take this stuff seriously, and generally speaking when an actor is arrested for drug use, all current things that the actor is involved in are pulled from sale. Such is the case with Judgement, with SEGA pulling it from stores in Japan, and even going as far as to remove any mention of it from official social media accounts. Many were wondering what would happen with the game's planned release in the west. The good news is that it's happening. SEGA is replacing Taki's likeness, and working hard to do it quickly, too - the game's still slated for a release date of June 25 in English.